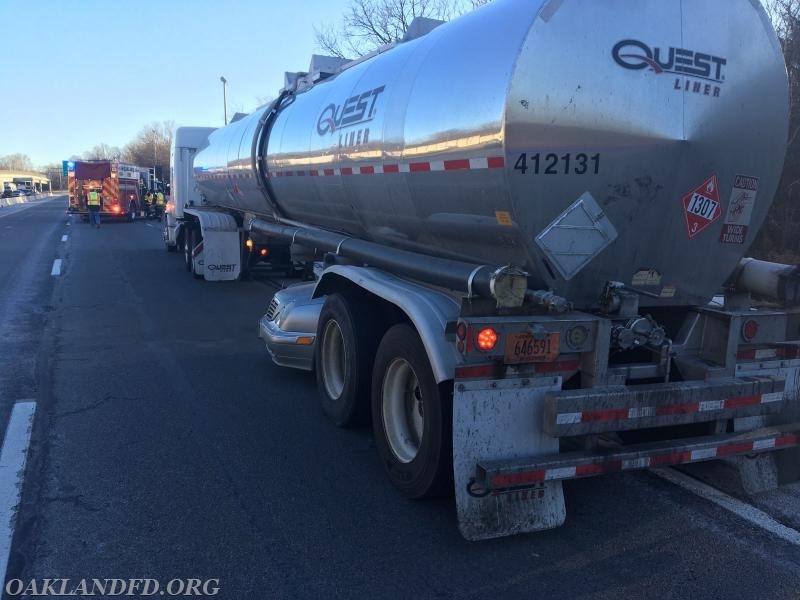 On Wednesday, December 13th, the OVFD was dispatched to an accident between a car and a truck carrying flammable liquid on Route 287. 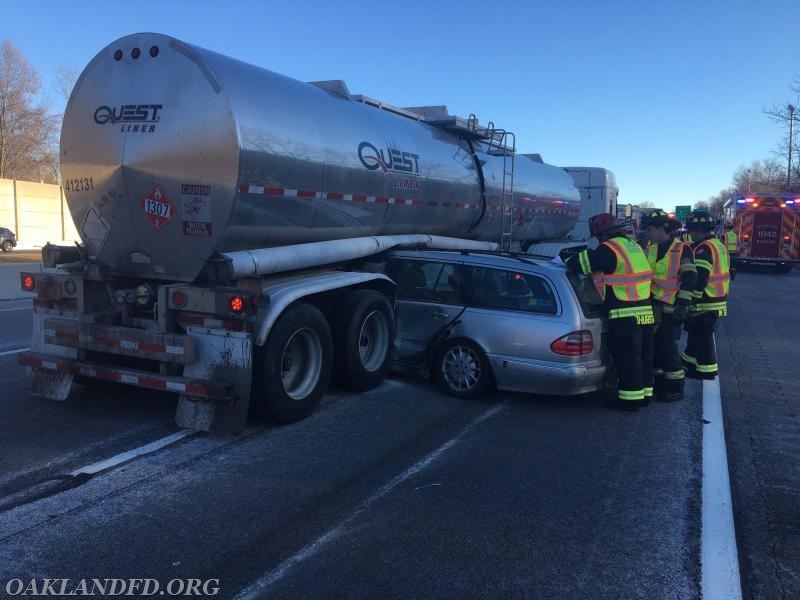 The Oakland Fire Department had to lift the truck so that the car could be removed safely from underneath the truck. 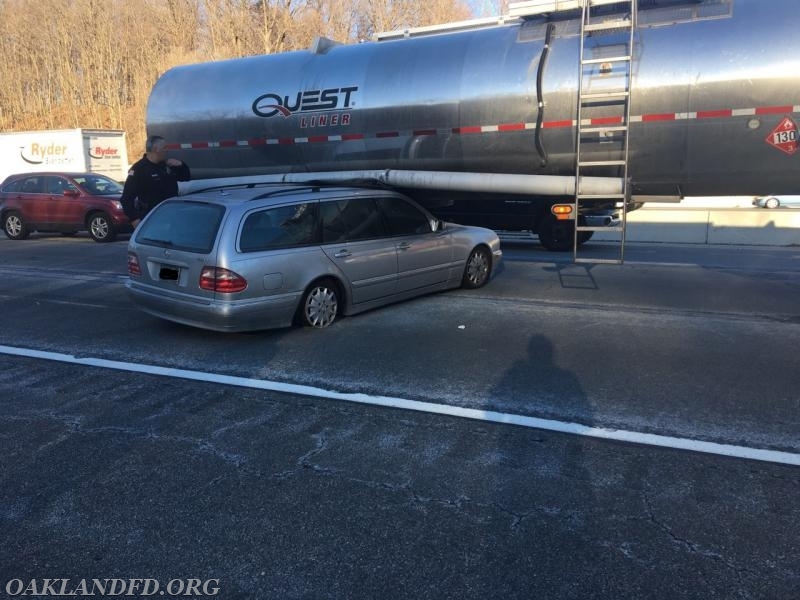 Luckily no injuries were reported at the accident.